The Indianapolis Colts are off to a rough start, and it’s not looking better next week. 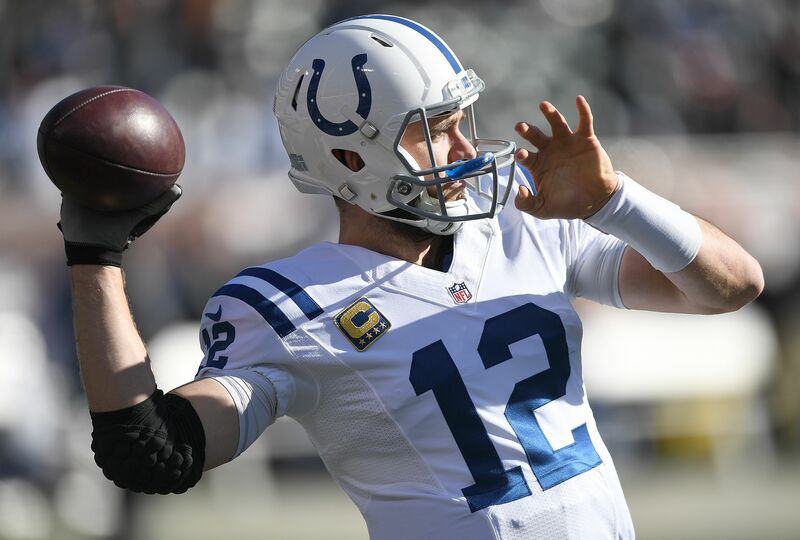 Indianapolis Colts quarterback Andrew Luck has officially been ruled out for Week 3. ESPN’s Adam Schefter sent a tweet out on Monday confirming the news. Andrew Luck officially out again Sunday vs Browns. The Colts’ signal caller has yet to take a snap this season, including preseason. He is recovering from offseason shoulder surgery. Indianapolis has yet to put a definitive timetable on his return. Stephania Bell, ESPN’s resident injury adviser, does not like the outlook for Luck given his lack of practice. In a clip on ESPN’s Fantasy Focus podcast Bell discussed Luck’s availability going forward. She does not see him missing more than six weeks. She went on to say that the Colts are taking it one day at a time. Bell also believes that even if the Colts are 0-6 Luck would play. The six-week mark is critical because Indianapolis took Luck off the PUP list. A player put on that list is unable to be a part of football activities, including practice. Taking him off the list allows him to practice when he’s physically ready. Unfortunately that has not happened yet. For now, the 0-2 Colts have newly-acquired Jacoby Brissett under center. This was a switch from their original plan to go with Scott Tolzien. Brissett was acquired in a preseason trade with the Patriots for wide receiver Phillip Dorsett. Indianapolis get the Cleveland Browns on Sunday. A game that pits two 0-2 against each other. Without Luck, and possibly Cleveland quarterback DeShone Kizer depending on his availability, this game could feature two backup quarterbacks. Currently the Colts are 2.5-point underdogs at home to Cleveland without Luck. Indianapolis has struggled against the Los Angeles Rams and the Arizona Cardinals. Luck’s return may come after it is already far too late to save the Colts’ season.